Is a trading style of ESE Direct for our design and build, refurbishment and new build work we undertake on your sites. We continue to grow significantly and work very closely as a team, over the years we have been fortunate enough to win over 80% of the selected awards we enter each year. ESE Direct are very pleased to announce they are winners of BCC 2013 Online Business of the Year Award for the East of England. ESE Direct went to the National finals in November, representing the whole of the East of England in a category that recognises businesses who have specialised in using the internet to increase sales and profit and grow their organisation. ESE Direct have, once again been included in the Norfolk Future 50 award in 2013, being recognised for their continual business growth. The Norfolk Future 50 is a collection of 50 businesses who have been chosen for their ability to generate growth and success. in 2013 ESE Direct were finalists for the ecommerce category of a new award, the Great British Entrepreneur. This national award received a large number of applicants and ESE Direct were very proud to have made the short list of finalists. 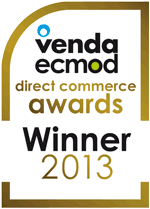 We are proud to confirm we won the two awards above at the Venda-Ecmod direct commerce industry awards ceremony. Both awards were handed out at a Gala on 18th April 2013 at Chelsea Football Club, presented by Sky News anchor man Dermot Murnaghan. ESE Direct have been recognised for their continued growth and innovation by being featured in the Norfolk Future50's class of 2012. This publication by leading Norfolk based publisher, Eastern Daily Press showcases leading businesses which have shown exceptional growth.We have plans for continued growth to reach £10m turnover within five years. 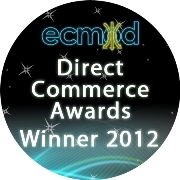 ECMOD - Best All Round Business or Brand - Annual Sales from £0 - £5M, Business to BusinessWe have been fortunate enough to been awarded the Best all round B2B Business or Brand award at the recent ECMOD direct commerce industry awards ceremony for the second year in succession. The award was presented by TV's Dermot Murnaghan at a Gala Dinner which took place on 27th March at the Lancaster London Hotel. We are extremely proud to have won this award as it is recognition of our significant success in terms of both sales and customer service from within our industry. We are proud to announce we have also been awarded the Best Industrial Equipment Supplies Catalogue at the recent ECMOD direct commerce industry awards ceremony.The award was again presented by TV's Dermot Murnaghan who congratulated us on being one of only a handful of companies to win more than one award on the night.We are extremely proud to have won this award for the first time as it is recognition of the significant improvements we have made to our business to business mail order catalogue in recent years (have you ordered your copy). Other winners on the night included Hotel Chocolat, Argos TV, Artigiano, Macmillan Cancer Support, Ironmongery Direct, Lyco Direct, Morleys of Bicester and Very.co.uk. Eastern Storage Equipment is pleased to announce that we have won the East of England region Chamber of Commerce Business of the Year award for 2011. The Business of the Year award is given to the company that demonstrates all-round excellence in business. The judging focused on financial performance and future objectives, the competitive advantage of the business, and looked at examples of specific strategies which have driven business growth. We are very proud to have been recognized for our achievements in these areas. Simon Francis MD Eastern Storage Equipment - Finalist of Institute of Director's National Director of the Year Small and Medium Business. Recognising the Best in Business - The IoD Director of the Year Awards celebrate the very best in UK business. Many businesses have suffered at the hands of the recession, so it is now more important than ever to recognise what your business has achieved. Winning these awards shows that you have been recognised as the best in your field by the organisation for UK business leaders, the IoD. This catalogue and ecommerce industry award is a much sought after accolade and the judges commented on ESE "A winning proposition that stood it in great stead during the economic downturn. Shows that there is plenty of scope for smaller entrepreneurial b-to-b companies to take on the goliaths."